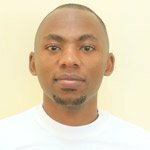 James Kahongeh, versatile features writer with Daily Nation reports, "Kenya has not developed content exclusively for use by adult learners." 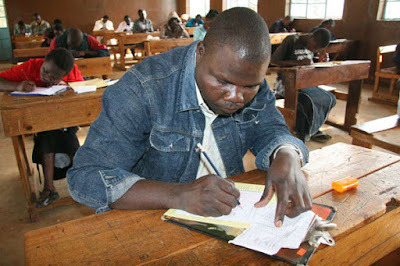 Learners, under the adult education programme, sit for a Mathematics exam during the Kenya Certificate of Primary Education at Uasin Gishu Primary School in Eldoret Town on November 10, 2009. In years gone by, education was almost a certain ticket to economic prosperity. Today, however, it has become a requisite ingredient for survival, without which life is unbearable. This has pushed thousands of learners back to class; some to redeem their social standing, and others to seek a plank for better fortunes. Whereas some people join centres of adult education to begin their studies from the most basic level, others go back to school after recovering from financial difficulties that may have elbowed them out of school. Below par performance in a previous attempt in national exams, early pregnancy for women and expulsion from school are the other reasons that push adults back to class. Adult education, on the surface of it, may sound as a comfortable go. In truth, however, the programme comes with a myriad of limitations, including underfunding, poor state of learning infrastructure and the high cost involved. For those with family, navigating the near-impossible balance of finding time for family and academic pursuits becomes a necessity. Four adults talk about the setbacks they have had to contend with in their pursuit of education. Amina Fwaleh was only 17 years old when she dropped out of school in Form Two and got married. She eventually found a college in Nairobi that offered adult education. Temple College offered the International General Certificate of Secondary Education (IGCSE), curriculum. “My biggest challenge here was having to put on uniform like the other students since this was something I was doing secretly. Apart from my husband who knew, no one else did. My in-laws would have been particularly aggravated had they found out,” she says. The timing of lessons was strenuous - Amina adds. Through sheer determination, she managed to finish her studies and enrolled for a diploma course in Finance and Human Resource Management at Valley Business School. Hard on the heels of her diploma came her undergraduate degree at the University of Nairobi. Now 43 years, Amina is currently undertaking a PhD in Finance. “The level of education is what ultimately matters in life. Besides the general challenges that the education sector faces, society should stop stigmatising older people who go back to school. The age of the student does not matter,” Amina maintains.